Before Robert Silverberg won multiple Hugo and Nebula awards and became Grand Master of science fiction, he was a young man learning the art and craft of writing the genre. 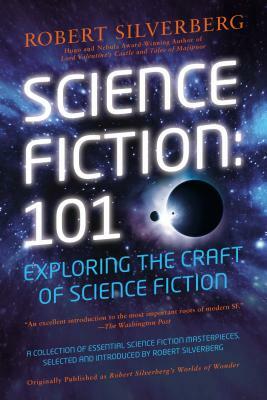 In Science Fiction: 101, Silverberg reveals the roots of modern science fiction with thought-provoking essays about some of the field’s most groundbreaking stories—included in this volume—which inspired him and taught him to write. These insightful analyses, along with the skills and strategies Silverberg developed to build his successful career, make this an indispensable volume for readers interested in science fiction history. Science Fiction Grand Master Robert Silverberg has won five Nebula Awards, four Hugo Awards, and the prestigious Prix Apollo. He is the author of more than one hundred science fiction and fantasy novels and more than sixty non-fiction works, including Lord Valentine's Castle, Majipoor Chronicles, Valentine Pontifex, and Tales of Majipoor.